ten an exhibition to celebrate 10 years of air arts at derby hospitals. starting in 2007 to create welcoming environments in the newly completed royal derby hospital, air arts have grown to produce programmes that create opportunities for moments of reflection and distraction from illness to ultimately aid well being, support recovery and improve the hospital experience for patients, visitors and staff alike. for the exhibition, the air arts staff at london road community hospital selected 10 of the objects from the silk mill mini museum project along with their selected stories from the participating patients. i worked for the museum to facilitate the project on the wards. through a co-production process i photographed 8 of the objects for display in the exhibition and these can be seen in the ten portfolio item. 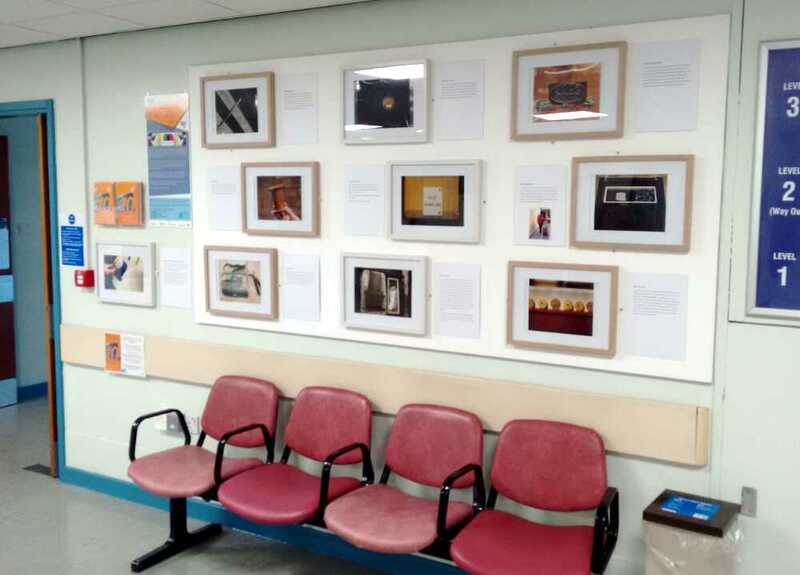 the mini musuem photographs are at the london road community hospital in the level 3 foyer area, opposite the league of friends from march 24th 2017 with the exhibition continuing around the london site and the royal derby hospital site. in november 2017 the mobile museum of making project was awarded runner up in the heart of the community category at the east midlands heritage awards.